NY Daily News reports that four MS-13 gang members were arrested this morning for murdering three teenagers, two of them girls. Two high school girls were killed in Brentwood last September and skeletal remains were found last October. The skeletal remains belong to 18-year old Jose Pena-Hernandez. Autopsy says all victims were beaten to death. 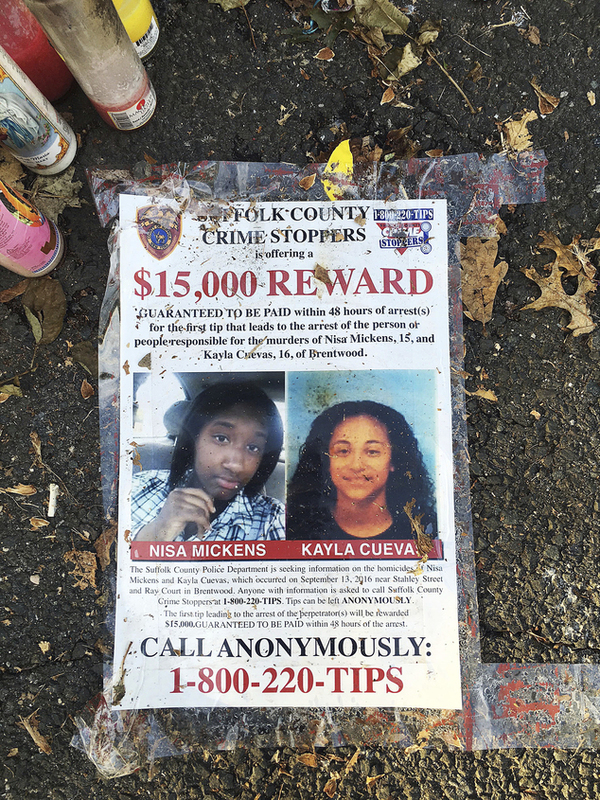 The two girls are identified as 15-year old Nisa Mickens and 16-year old Kayla Cuevas. Newsdays says over 30 violent MS-13 gang members have been arrested in Long Island.